This well-known assertion of Simone de Beauvoir, pointing toward the social and cultural mores that form and regulate an individual as a ‘woman’, is especially apt in light of the controversy surrounding the finalists of BBC2’s Great British Bake Off. The three female finalists have been variously castigated for being too miserable, too opinionated, too confident and too feminine. The repeated characterisations of the women in terms of inflexible, binary gender roles, alongside the criticisms of them for either failing to live up to these or – bizarrely – for adhering to them too closely, invites further analysis of the presentation of womanliness and femininity in the media. Moreover, the presence in the criticism of underlying suspicions regarding the race and class status of the women finalists demonstrates the increasing need for more fine-grained examinations of how we approach the still-troubling and troublesome category of ‘woman’. In this co-authored blog post, CelebYouth’s Kim and guest blogger Sarah Burton discuss the relationship between the structural context of GBBO and the individual presentations of gender therein, with a particular focus on the interactions between media, Britishness and public space. Youth and the ‘enterprise culture’: forgetting the lessons of the 1980s? ‘Now’ can feel a lot like ‘then’ – the 1980s – with young people urged to ‘raise their aspirations’, take ‘responsibility’ and grasp the challenge of ‘enterprise’; all in a political context of high youth unemployment and drastic ‘reforms’ to welfare entitlements. Again we hear calls for ‘a nation of young entrepreneurs’. In this guest blog post, Robert MacDonald reflects more critically on the lessons we might learn from research in the 1980s about youth and ‘the enterprise culture’. On 9th May, The Education Secretary Michael Gove delivered a keynote speech at a conference hosted by Brighton College (The Sunday Times ‘Best Independent School’ no less). The title – What does it mean to be an educated person? – is provocative enough, but the full speech is really something else. There has already been a lot of excellent analysis of Gove’s sneering and patronising speech on twitter, in cartoon form, on several blogs (a great example being this by The Plashing Vole), among professional associations, and in the news. We don’t want to repeat too much of this, but rather to draw attention to three key issues about education reform and aspirations discourse under this government – crystalised within Gove’s speech – which continue to raise concern for us. In this post I take a critical eye to the use of ‘aspiration’ in David Cameron’s speech yesterday. What does he mean when he talks about aspiration? And what is left out? David Cameron’s speech to the Conservative Party conference yesterday focused strongly on the topic of aspiration, positioned as the solution to economic crisis and the tool to ‘meet the challenges our country faces’. Language is not a transparent thing. The words that we use and how we define particular terms construct certain versions of the world; what gets to count as ‘true’ in any given moment – what Foucault referred to as ‘truth effects’. 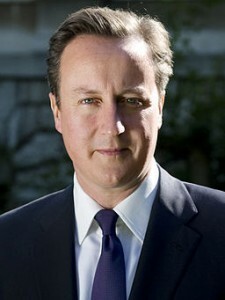 Cameron’s speech is a fascinating text to examine the construction of the notion of ‘aspiration’. I was reminded of these thoughts as I listened to a recent podcast of the BBC Radio 4 programme Woman’s Hour featuring a discussion on school children’s aspirations. The segment opened with the voices of a group of 7-year old pupils from a school in Bromley, South London. What did they want to be when they grew up? The responses were varied, from the ‘traditional’ and solid to the vague and, well, interesting….